Tatyana Subbotina launched her YouTube channel back in 2012. Tatyana Subbotina also praised for her lessons on how to use video software. 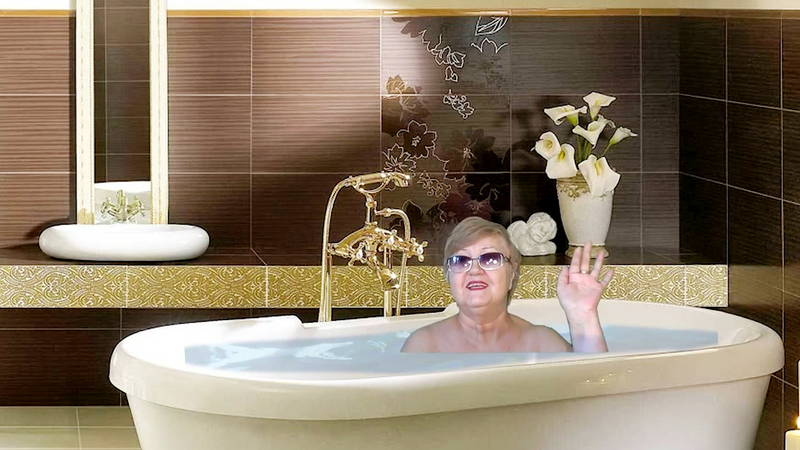 Russian pensioner Tatyana Subbotina has gained universal popularity by posting videos using chroma key (the video editing technology which involves green-colored clothes and background). Videos of Subbotina bathing in an artificial sea, swimming with a giant whale tailfin for legs, or driving a convertible with stunning landscapes as the background have won her a huge online following, mostly from users of social network VK, the Russian equivalent of Facebook. It was here, in a professional Adobe After Effects community, that Subbotina's videos first emerged. Subbotina, who lives in the town of Sayanogorsk (in the Republic of Khakassia, 3,400 km to the east of Moscow), launched her YouTube channel back in 2012. She began by posting mundane reports on her trips to Thailand. The most popular video on the pensioner's YouTube channel has generated over 145,000 views to date. She’s shown bobbing up and down on artificial waves while telling a joke. The OAP also produces animations for children, using the images of Peppa Pig and her friends against chroma key backgrounds. Subbotina's channel includes several video tutorials on how to work with chroma key and Adobe’s Premiere Pro editing program. Many users have been thanking the pensioner for her video lessons and encouraging her to continue posting. “Your explanations about video editing in Premiere are user-friendly, which is something I had been seriously lacking because I found the software too complex,” one viewer commented. Apart from her video editing hobby, Subbotina earns extra money selling food. Prior to collecting her pension she was employed in the education sector.